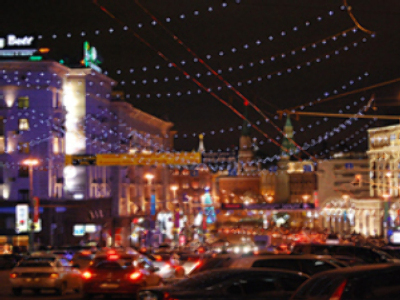 Moscow’s major Tverskaya street was rated the third most expensive commercial real estate in the world with average annual rents pegged at $US 1,515 per square foot. The real estate services firm Colliers International has recently posted a report listing shopping streets whose goods have the highest prices. Fifth Avenue in New York was ranked number one followed by the Champs-Élysées in Paris. A square foot of trading space in either of those locations would cost you $US 1,703 and $US 1,515 respectively. The central street of Russia’s capital was named ahead of London’s Bond Street and Oxford Street. Buying retail space in these locations is another matter entirely. Russia’s Kommersant business daily reports that anybody wanting to purchase a shop in Moscow’s Tverskaya Street is facing a “Mission: Impossible”. It quotes Prime City Properties authority Roman Cheptsov as saying there are ‘no bargains’. Should a retail unit become available, estimates suggest it would fetch upwards of $US 4645 per square ft.
Another Russian street, Nevsky Prospekt in St.Petersburg, has also made the list of the world’s most expensive shopping locations, coming in at number eight.